In just two days time, the Denver Broncos have gone from third best odds to the odds-on favorites. 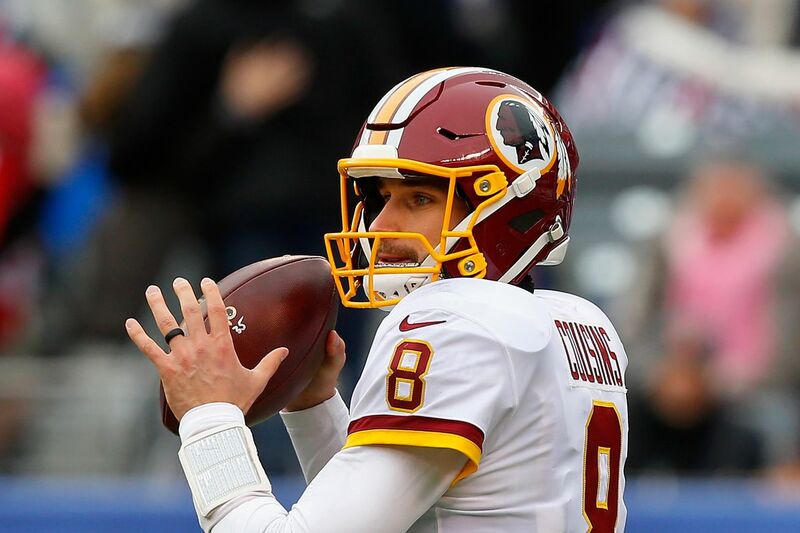 Two days ago, our rival blog Silver and Black Pride gleefully pointed out that the Denver Broncos were not the favorites for landing quarterback Kirk Cousins in free agency. Well, Mr. Raider fan, jokes on you for now. In just two days time, the Broncos have risen the top contender for the services of one Kirk Cousins. Why am I picking on Oakland Raiders fans and bloggers? Because they know Cousins would immediately put the Broncos back into contention and he would likely be the best quarterback in the division for a long time. Don’t believe me? The stats kind of speak for themselves. Both Philip Rivers and Alex Smith are coming off career years. I’d probably still rank Rivers ahead of Cousins, but he is an aging veteran who is getting closer and closer to that cliff. This is why I am personally all-in on Cousins being quarterback of the Denver Broncos in 2018 and beyond. He provides the Broncos with instant competitive dominance in the division for the next half decade and that will be worth every penny the Broncos would potentially sign him for. The next step for John Elway will be to keep the competitive talent on the roster strong after signing a guy like Cousins. That’s the hard part of the equation, since it will involve drafting much better than Elway and his front office has so far. He's been a finalist for years ... and it's time for his wait to end. If Kirk Cousins doesn't sign with the Denver Broncos during NFL free agency, the team should consider these five fallback options. Quarterback Kirk Cousins isn't going back to the Washington Redskins in free agency. If he signs with the Denver Broncos, that would reshape the AFC West. When talking about the Alex Smith trade, Denver Broncos general manager John Elway hinted about Kirk Cousins becoming a free agent. After their QBs struggled to light a fire under the team in 2017, the Broncos are making leadership a key factor in filling the position going forward. Kirk Cousins is surely a target for the Broncos now. But he's not the only one. "We need Kirk. I would like to have Kirk,” linebacker Von Miller said. “We have great quarterbacks now. Kirk could take us over the edge"
The trade of Alex Smith has left the Broncos in good position to land Kirk Cousins. A review of the 2017 season and the plays that defined each game. Every year, autograph collectors and dealers flock to the Super Bowl to battle each other for the big score. That’s bad news for the Eagles against the Patriots. The Eagles surely won’t do what the Falcons did against the Patriots, right? They don’t call Philadelphia the city of brotherly love for nothing. The Eagles, playing in their third Super Bowl in franchise history, have five players on their team with brothers playing elsewhere in the NFL. Super Bowl 2018: Will Jack die on the ‘This is Us’ postgame episode? Who’s ready to cry at your Super Bowl party? Retired NFL defensive end Stephen White has a track record of making uncannily accurate Super Bowl predictions. Here’s how this year’s game will unfold. You cannot adopt the puppies. Philadelphia fell for this team, and the week of a Super Bowl, it’s ready. Not much changed after the Senior Bowl, but quarterbacks remain popular picks. These aren’t the Visas and Nationwides of the world. They’re local cinematic gold. A majority of our panel is siding with the defending champions, but the Eagles have a couple of believers.